Freeform Art Space's show "The Feral Howl: A Feminist Response to Our Time" is currently on exhibit. 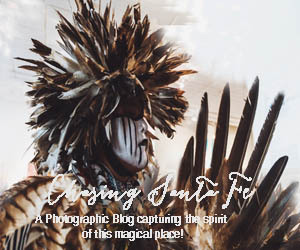 In an effort to bring attention to non-traditional venues, the founders of Axle Contemporary, a Santa Fe art gallery on wheels that was established in 2010, set up the Santa Fe Alternative Arts Association last June as a way for locals and visitors to know about the innovative and experimental art spaces in town. “Tourists are interested in unusual ways of presenting art, but they have no way of knowing where to find the spaces in Santa Fe that do this,” explains artist Matthew Chase-Daniel, who co-founded Axle Contemporary with artist Jerry Wellman. Chase-Daniel already knew Bard, who had started Freeform Art Space three years ago in a room adjacent to her studio in the Second Street area. When it became clear that in order to grow Freeform it was necessary to move it to a larger and more appropriate location, Bard and her husband Walter Thömmes found a multi-room space on Cielo Court last March. They’ve been hosting provocative shows since then, including “The Feral Howl: A Feminist Response to Our Time,” which is currently on exhibit. Other members of Santa Fe Alternative Arts Association include Currents New Media, which offers the community ways to experience new media arts through an annual festival; No Land, a downtown space operated by Strangers Collective that features solo and small group exhibitions of visual, performing and literary work by emerging artists; and Show Pony, a mobile gallery showcasing work by local artists and artisans. Challenges are aplenty when it comes to sustaining an alternative art space. Bard is paying for the space and expenses associated with shows out of her family’s pocket. She takes a small percentage of art sales to help defray costs. Axle Contemporary, which is an LLC and 501(C)(3), depends on individual donations and grants to help cover salaries and operating expenses. Axle Contemporary parks its van at various locations around town during exhibitions. 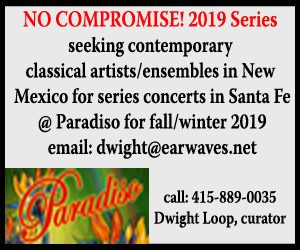 Social media and word-of-mouth are often the primary ways that alternative spaces promote their Santa Fe shows since advertising budgets are usually non-existent. “We’re reinventing ourselves all the time, always weighing our principles against the reality of surviving,” says Chase-Daniel, who says that one of Axle’s unique challenges is finding parking places for its van. Thank you, Emily, for providing consistently excellent content for and about our community.